Daily News file photoA battle over preserving habitat for the endangered Canadian lynx could alter plans by Breckenridge Ski Area to expand onto Peak 6. BRECKENRIDGE ” A new lynx conservation plan could be a factor in whether Breckenridge Ski Resort will be allowed to expand onto Peak 6. Forest Service officials charged with reviewing the resort’s proposal said they are studying the forest around Peak 6 area to determine if they can make the lynx plan mesh with the ski area’s desire to add new terrain. The resort has proposed adding several hundred acres of new trails and above-treeline skiing. Similar studies are under way across the entire eastern half of the White River National Forest, according to biologist Liz Roberts. Resort officials aren’t sure how the new lynx studies will affect the timing of Peak 6 plan. They hope the Forest Service will complete a draft environmental study this summer. The resort is testing some wildlife management systems and has indicated it would be willing to negotiate with the Forest Service, she said. “We are not aware of any specific lynx activity, but we do believe that we have areas across the mountain that could support lynx habitat connectivity,” Pettit said. The new studies could affect the review and approval process, said Roger Poirer, winter sports administrator for the White River National Forest. After years of political wrangling, the Forest Service finalized the Southern Rockies conservation plan late last year. It’s intended to provide some degree of protection for the rare cats, listed as a threatened species in 2000. One of the main reasons cited for the listing was the lack of adequate protections for important lynx habitat. The forest plan amendment, applicable to all national forests in the region, aims to provide those protections. Lynx habitat tends to overlap with ski terrain in places like Vail and Summit County. Just like skiers, the cats favor shady, north-facing slopes with mature stands of spruce and fir. Last winter, one of the cats was spotted near Francie’s Cabin, north of Breckenridge, with another documented sighting along the edge of a Peak 7 ski trail. Part of the proposed Peak 6 terrain falls into spruce-fir habitat zone considered critical for lynx. In the past, federal biologists have emphasized maintaining “permeability” at ski areas by making sure there’s enough habitat nearby for the cats to hide during the day and by restricting roads and nighttime activities. Now, the Forest Service must determine whether those measures meet the new standards of the regional plan. “We’re doing field work within the proposed Peak 6 expansion area and around the ski area, as well,” Poirer said. 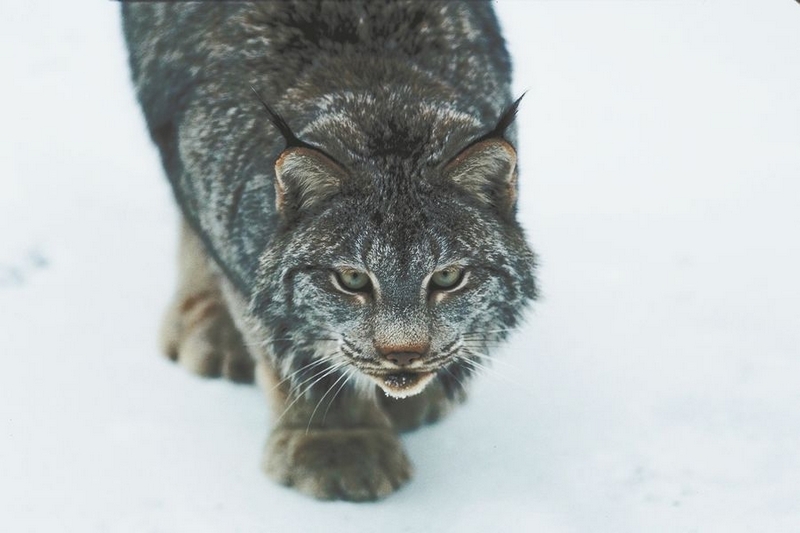 Teams of biologists have been scouring the area, looking for lynx tracks and trying to figure out if there’s enough food and cover for the cats, he said. The agency also has placed several automated cameras at various places in the forest. “We’re trying to figure out how much habitat is available in that area, and how Peak 6 affects it. If it does, what do we need to do to mitigate that,” Poirer said. The Ten-Mile Range may be an important travel route for the cats as they disperse from a core population area in the San Juans to the far corners of the southern Rockies, in search of good denning and foraging habitat. “One of the big standards in the amendment really focuses on habitat connectivity. We want to make sure we can maintain the connectivity,” Poirer said. “It’s a complex protocol if you’re trying to connect the dots across the range. After the field work is done, the biologists will analyze the data and produce a report that will help the Forest Service and resort figure out how to proceed. Poirer said there’s no deadline for completing the studies. The agency hasn’t had a conversation with the resort in quite some time about timing for finalizing the environmental studies on the Peak 6 expansion. “For now, we’re still looking at the crystal ball,” Poirer said. And given the shaky state of capital financing in the current economy, most resorts aren’t exactly chomping at the bit to tackle costly projects right now, he added. Bob Berwyn can be reached at (970) 331-5996, or at bberwyn@comcast.net.